Blog: Reading the Repertoire — Ana Giovinazzo. I am an editor and writer living in Brooklyn, New York. I've worked on a range of freelance projects from promotional magazine editing to technical writing. When writing, I ensure consistency of style and appropriate tone. When editing, I strive for clean, correct copy while preserving your unique voice. If you're interested in my assistance on your editorial or writing-related projects, please check my projects pages and contact listing for further information. I am also an avid writer of fiction and a halfhearted book blogger. Colonel Fainwell’s status as an evolved rake enables him to become a heroic representation of the new moral values associated with the early eighteenth century while still maintaining the necessary characteristics to thwart the conservative masculine control over female sexuality and to successfully act as an agent and a catalyst to female sexual autonomy. "The process of reading a Nabokov novel is, by far, more important than its destination, and every sentence absolutely begs you to read it--no, stop, don't go on just yet--read it again, and maybe one more time before you venture forward and study the next phrase for the same several moments. It's like dangling joyfully on a single monkey bar before gathering the strength to swing onto the next one. It's a playground of syntax. And I am enchanted every time." 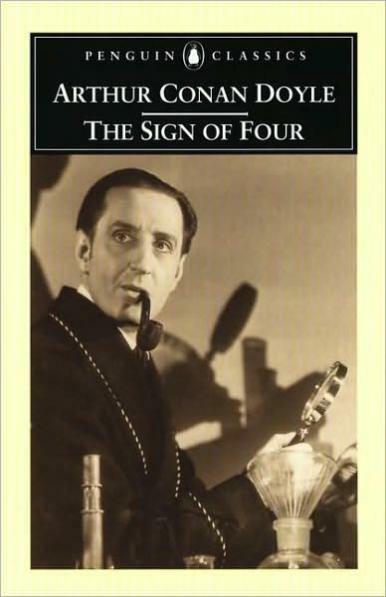 The Sign of [the] Four (1890): Watson--unreliable narrator, or unreliable observer? "Watson creates a bridge between detective and reader by playing the part of the audience for Sherlock Holmes’s work. We are prevented from seeing the whole picture until Holmes is ready to paint it out." "It is in this way that the narrator serves as Rebecca’s champion to his readers, applauding her agency and depicting her as the antithesis of a woman. She knows what she wants and is able to capture it, which makes her, in his eyes, incredibly powerful—even stronger than a man." Reading date: Most recently, January 2012. But I also read it a few years before that. "This back-and-forth leads dramatically to the only direct question the poem asks: 'Whose side are they [the soldiers (or, rather, the drops of blood)] on?' (line 21). This line opens up a paradox within the poem, as it asks whether the blood is on her thumb’s side, since it betrays her by spilling all over the floor and staining the gauze that she uses to staunch the bleeding, or on her side—which implies that the cut was intentional, and her thumb is bleeding out as she had hoped." "After all, what Brave New World depicts is a society in which each person has a place, and not only that–each person is happy in that place. And isn’t that, in effect, a utopia?" "With every eye-opening recipe and heart-wrenching twist, we get a taste of the misery the characters face because of their susceptibility to the vicious perpetuation of tradition without reason." "But by masking well-known political figures as animals and transforming the world into a farm, Orwell’s political views come alive in a marvelous illustration of what happens when a revolution goes wrong and the power falls into the hands of, well, greedy pigs." "Though the holy details may seem obvious even to someone who hasn’t read the book, they helped solidify the idea for me that Dracula is a wholly unholy creature, a soulless body of something that had once been alive, and something that is no longer worthy of pity or mercy."